To mark National Aboriginal History Month this June, Historicist will focus on aboriginal issues throughout Toronto’s history. Founded in 1826 on the hill above the western bank of the Credit River—where the Mississaugua Golf and Country Club is now located—the village marked the Credit Mississaugas’ transition from hunting and gathering to agriculture and commerce. By the late 1830s, the village consisted of about forty log and frame houses with well-manicured gardens, a Methodist church, a two-storey Mission House, and a school connected by a wood-plank sidewalk along the road running through town. Beginning with raising corn, wheat, oats, and vegetables as well as livestock, the community had become self-sustaining, with locals operating a blacksmith’s shop, a carpenter’s workshop, several stores, two sawmills, as well as shipping facilities and boats at the lakefront. Despite their prosperity and self-sufficiency, however, the Mississaugas proved unable to secure clear title to the village lands from the colonial or British governments. And, in the spring of 1847, they abandoned their cultivated fields and comfortable homes—two decades of work—to start over on a corner of the Six Nations Reserve on the Grand River. In 1824, Peter Jones (Kahkewaquonaby), a 22-year-old Christian convert returned to his mother’s people, the Credit Mississauga. After spending his childhood with his Mississauga mother, Tuhbenahneequay, he lived as a teenager with his father Augustus Jones, a surveyor of Welsh descent, and his Mohawk step-mother at Davisville, a small settlement of Aboriginal Christian converts located adjacent to the Six Nations Reserve. There, Peter and his older brother John Jones (Tyenteneged) learned English, received schooling, and saw for themselves how adoption of agriculture had brought stability and prosperity to the Six Nations. 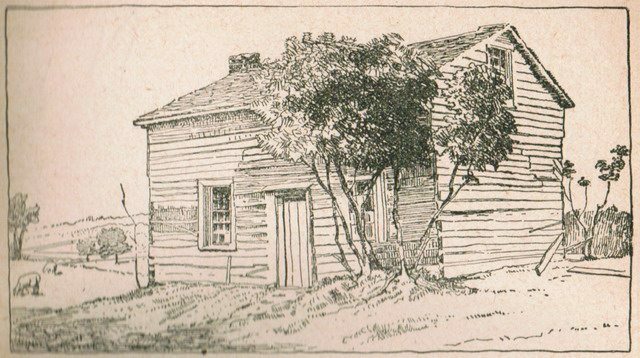 Returning to the encampment at the mouth of the Credit River a Methodist missionary, Jones found the Credit Mississaugas dispirited and demoralized. The possibility that independence and equality might be achieved through armed uprising or political alliance in the wake of Wabakinine’s 1796 murder had passed. And the collapse of the hunting-gathering economy, as the increasing number of settlers impacted game and fish stocks, had brought impoverishment. Disease and alcohol had continued to devastate the band. “Increasingly the Indians became objects of ridicule and hatred by a society that did not understand their customs or respect their culture,” Roger Reindeau writes of that period. 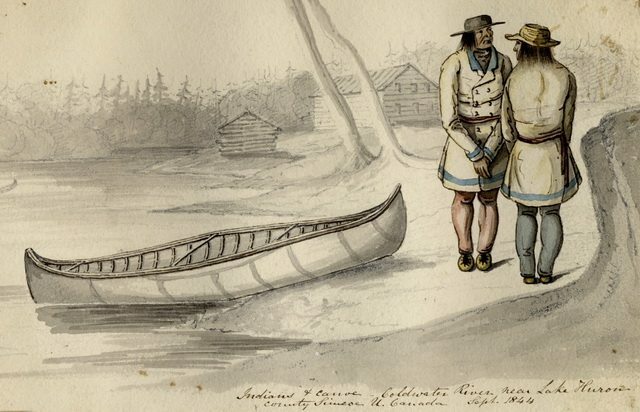 On Jones’ trips to the mouth of the Credit River in 1824 and 1825, the “bilingual and bicultural” missionary, historian Donald B. Smith writes, “captured the imagination of his people.” His knowledge of and respect for Anishinabe culture and traditions enabled him to translate Christianity in ways the Mississaugas found meaningful. Jones found first some, then many eager converts who returned with him to Davisville, where they were introduced to modern agriculture. Jones argued that the arrival of Europeans, historian Catherine Murton Stoehr asserts, had brought harm to the First Nations through alcohol, disease, loss of land, and deception. But, he said, if they followed the teachings of Gitche Manitou—God, cast as the Great Spirit of existing Anishinabe cosmology—they would receive blessings and benefits like farms, homes, and tools, through which they could restore the community to its pre-contact health and wealth. Embracing Methodism and farming, Jones believed, would be empowering, offering a means of overcoming the deleterious social upheaval of the recent past. The Mississaugas territory had continued to shrink. The 1805 surrender of the lakefront portion of the Mississauga Tract, stretching from York to Burlington Bay, had resulted in three townships being surveyed: Toronto in the east; Trafalgar in the centre; and Nelson in the west. 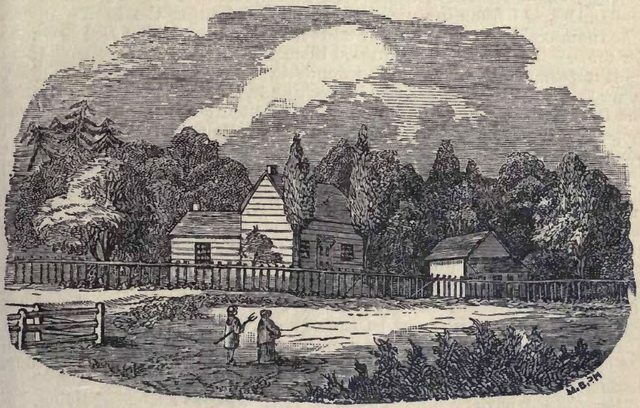 With superior soil and close proximity to the provincial capital and a government road, the 200-acre lots of Toronto Township proved particularly popular with settlers. So government officials returned again and again for further surrenders. In 1818, the government purchased the remaining interior lands of the Mississauga Tract, up to present-day Steeles Avenue. The next year, wanting to ensure Euro-Americans lived on both sides of Dundas Street, the government acquired the northern portion of the land reserved for the Mississaugas along the Credit River. Officials met with the Mississaugas again in 1820, though accounts differ as to what was agreed to. 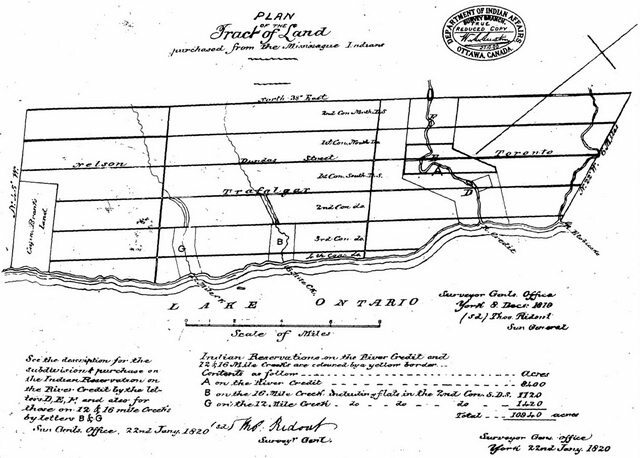 According to the written document, the government was empowered to sell, at its own discretion, most the Mississaugas’ remaining reserve land: the small parcels at the mouths of Twelve Mile (Bronte) and Sixteen Mile (Oakville) creeks, and all the land on the Credit River, save 200 acres on the east bank. Revenues from the land sales would be held in trust for the Mississaugas. The Mississaugas’ interpretation differed significantly. “[W]e did not mean to sell the land but keep it for our children for ever,” Joseph Sawyer and John Jones recalled of the pact in 1829, insisting that they had only been seeking government assistance in protecting these lands from the encroachment of settlers. Intimations that the government would erect “huts” for the Credit Mississaugas on their remaining 200 acres—a tiny plot for a community of roughly 200 people—remained unfulfilled. In a conversation with Peter Jones in July 1825, the Rev. John Strachan suggested the idea of the Mississaugas establishing a permanent village on the Credit River. Afterward, the community discussed and decided unanimously to pursue the idea. Jones met with the Lieutenant Governor that October and secured his promise of government assistance. This course of events illustrated one way in which Jones and later Methodists of Anishinabe descent—like John Sunday and George Copway—differed from non-Aboriginal missionaries. 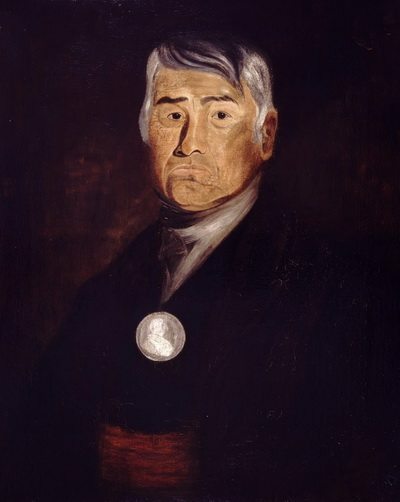 He respected traditional Anishinabe norms of leadership, seeking community consensus and deferring to prominent leaders like Joseph Sawyer, who would become head chief in the late 1820s. Jones did not speak for the Credit Mississauga as an intermediary with government unless he spoke with their authority. Jones and over one hundred Mississaugas converts returned to the Credit River in mid-April 1826, immediately building a bark structure to be used temporarily as a church and school. They lived in bark wigwams on the river flats about three kilometres from the river mouth—the last 200 acres reserved for them in 1820. But when they began clearing the trees and brush for village lots, they opted for a site on land already surrendered—on the high-ground above the western riverbank—where the Mississaugua Golf and Country Club is located today. Work was completed that fall on the first 20 modest cabins. They were “built of squared logs chinked with plaster,” as one resident put it, with open fireplaces and stone or brick chimneys. Measuring roughly 8 metres by six metres and divided into two or three rooms, each house accommodated two families initially, though more houses were built in time. By the time missionary Francis Hall visited the Credit village in 1828, he counted thirty squared-log buildings and watched as the villagers assembled to build another for “old George,” said to be the last villager still living in a wigwam. Moving into the cabins was a significant adjustment, as new modes of domestic life replaced long-standing traditions. Now outfitted with furniture, most Credit Mississauga stopped sleeping on mats on the ground in favour of beds–except Jones’ own mother, who refused a bed. The villagers sat in chairs at the table to eat, with forks and plates, instead of sitting on the ground and using fingers and wooden bowls. The irregularity of meals of hunting and gathering was replaced with more regimented meal times. And they learned to maintain their new houses, with a non-Aboriginal missionary praising one resident for keeping a home “so neat, clean, comfortable, and respectable.” Even the layout of the village, “on a perfect line” along a roadway, in Hall’s 1828 description, was a significant departure from the former practice of round-shaped wigwams scattered across a broad area. Under the guidance of Peter and John Jones and non-Aboriginal Methodist workers, the Credit Mississaugas learned the skills necessary for farming, from ploughing and seeding fields to knowledge of weights and measures, and currency for better dealing with traders. Although as hunter-gatherers the Mississaugas had harvested Indian corn, as farmers their crops now expanded to include wheat, potatoes, peas, oats, onions, carrots, beets, beans, and squash, and cabbage. Some of the villagers tended to gardens on the fenced half-acre lots surrounding their homes and others planted small orchards. Pigs, cattle, and other livestock were eventually raised in an enclosed pasture. The shift to agriculture also initiated a significant change in gender roles. Previously, women had been responsible for cultivating Indian corn while the men hunted, fished, and served as warriors. There was some initial resistance from men about assuming women’s work as farmers, but the community quickly adapted to the new lifestyle. 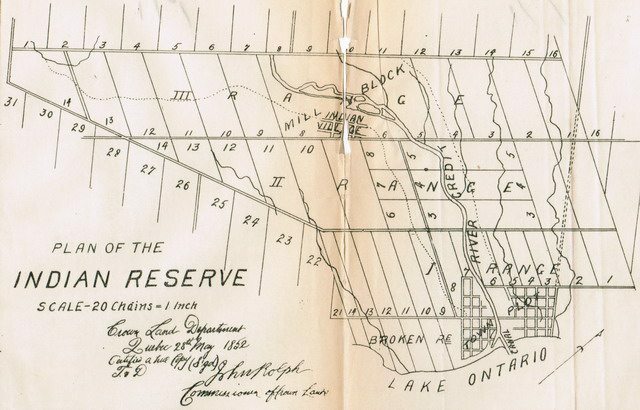 With 50 acres allotted by the community to each family to farm, by the late 1830s the Credit Mississaugas had nearly 900 acres of their 3,000-acre tract under cultivation—an area stretching about one-mile on either side of the Credit River. 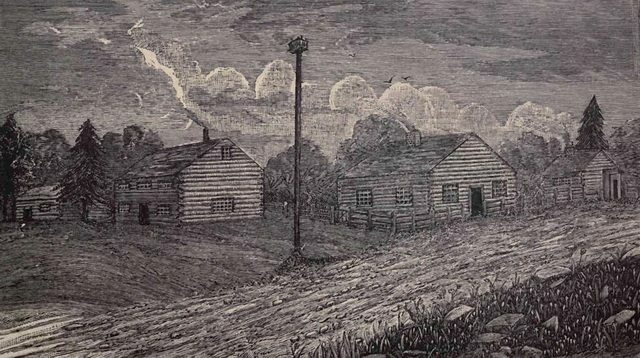 When Egerton Ryerson arrived as the Credit village’s first Methodist preacher in September 1826, he endeared himself to the Mississaugas by living with his hosts in “one of these bark-covered and brush-enclosed wigwams,” helping with the physical labour of clearing land, and quickly learning their Ojibwe language. Within two weeks of his arrival, Ryerson organized the villagers in starting construction on a Methodist church building. He’d learned that the government, distrustful of Methodism—which they viewed as too American—intended to have an Anglican church constructed at the Credit village to encourage the Mississaugas to convert to the Church of England. The Methodist chapel opened for its first Sunday service on November 26, 1826. But officials continued to pressure the Mississaugas to give up Methodism for Anglicanism, and even insisted upon it as a condition of government assistance for some new First Nations agricultural villages being established. The pressure exasperated Peter Jones. Wasn’t it their right “to worship God as they felt it their duty?” he complained in his diary in the late 1820s. In the late 1820s, Ryerson reported that of the forty youth attended the village school, “nearly twenty can write intelligibly, and read the Holy Scriptures and the English Reader.” Such a degree of public education was rare in Upper Canada where, one teacher estimated, only one out of every 20 children—Aboriginal and Euro-American alike—received elementary education. “Many Credit Mississauga young people, in the late 1820s and 1830s,” Smith writes, “became literate in English, while many of their British Canadian neighbours could neither read nor write.” Head Chief Sawyer aspired for Credit boys to attend college. But, over time, the schools for First Nations children at Methodist villages shifted their focus from academic subjects to practical instruction. The transformation the Mississaugas initiated at the Credit village was nothing short of a “cultural revolution,” in Smith’s characterization. By the summer of 1827, it was reported, all but two local families had converted to Methodism. After baptism, the Mississaugas usually took a Christian name. Hymns and prayers replaced drumming, and they memorized the Ten Commandments. No longer did most villagers hunt, fish, or collect firewood on Sunday, which they spent instead attending services at the chapel. 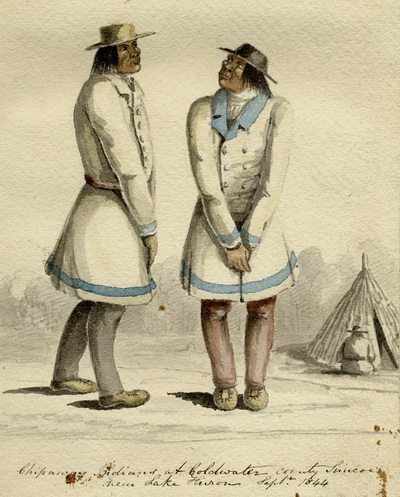 Pencil and watercolour sketch of Anishinabeg (Ojibwe) people in Simcoe County by T. Hibbert Ware, 1844. The residents at the Credit village would have dressed similarly. From the Toronto Public Library Digital Collection. The Credit villagers changed their mode of dress. Men, many of whom cut their hair, wore trousers and plain shirts with coats and shoes instead of moccasins, leggings, and a robe over their shoulders. Sometimes they kept a scarlet belt on their waists as a concession to the old ways. The women converts wore basic gowns, but often still draped a blanket over their shoulders. As readily as the Credit Mississaugas had adjusted to a sedentary lifestyle, however, Peter Jones recognized—and accepted—that some traditions, customs, and modes of behaviour wouldn’t change. English was used in the school, but the continued to speak Ojibwe almost universally in daily life. Some persisted in keeping the old seasonal cycles. Children were taken out of school to gather at sugar bushes, and men continued to hunt in the spring and fall, prompting one missionary to complain in late 1827 about the difficulty in getting the men to work at certain times of year. Older community members stuck to familiar beliefs in particular. And others were perplexed by a preacher’s cause-and-effect explanation of thunder and lightning, which countered their own life-long understanding that they were created by the thunderbirds. The tone of such statements betrayed an unquestioning belief that the Credit Mississauga were evolving to a more civilized state. But Peter Jones and his fellow Anishinabe Methodist leaders did not view all new cultural practices as “superior to, or more advanced than, older Anishinabe social forms,” Murton Stoehr argues. Rather, she states, Jones presented them as “necessary adjustments to a new era” to counter the damage wrought by non-Aboriginals and restore the community’s health and prosperity. Jones and Head Chief Sawyer held up the Credit village as a model that could be replicated for First Nations elsewhere. Jones and other Anishinabe missionaries, travelled along the shore to Bay of Quinte and north to Georgian Bay promoting both Christianity and the adoption of farming. Many Anishinabe from far afield travelled to the Credit to see the village’s successes first-hand. The Upper Canada government, too, supported the establishment of similar agricultural settlements initially, including one at Coldwater near Matchedash Bay, in part because it fit the Indian Department’s growing emphasis on assimilating First Nations into western ways. That goal, however, was certainly not shared by Jones or Sawyer, who both envisioned a future, as Murton Stoehr puts it, for “Anishinabe people living in their own communities on their own land.” Throughout their lives, both continued to act as strong advocates for Mississauga rights. Not all of the Credit Mississaugas adopted Methodism or followed Jones’ approach. According to Smith, the community could be divided into three groups. There were reformers like Jones who readily adopted European ways, and moderates who remained church members but bristled at some of the strict rules Jones and Sawyer introduced. The rules included bans on drinking, gambling, and playing football, as well as a more regimented approach to rearing and educating children. And, there were traditionalists who rejected Christianity but continued to reside at the Credit village. About half the village population were reformers, and a third were traditionalists. There was also a small group who thought Jones had become too white and left the village entirely. 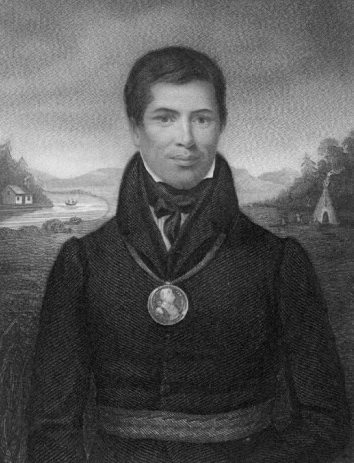 Through the 1820s and 1830s, the Credit Mississaugas were very much achieving Peter Jones’ overarching goal of self-sufficiency, which he believed offered them independence from the Euro-Americans. Through the villagers’ labour alone, another 25 houses were constructed, as well as eight or nine barns. By the late 1830s, the village had two sawmills, a couple carpenters, a shoemaker, a hospital building, two stores, and a blacksmith. The self-sustaining nature of village life was a far cry from earlier reliance on sub-par government-supplied services. As a condition of 1805 negotiations, for example, the government had promised the Mississaugas the services of a blacksmith at York, a man who then always made excuses and found reasons for refusing their work—just another instance, from the Mississauga perspective, of unfulfilled treaty obligations. With harvests abundant enough to provide for their own needs, the villagers sold the excess wheat and produce. They established businesses to provide necessary services for their own community as well as their neighbours. With two sawmills under band management, some villagers engaged in the lumber business with two sawmills; others supplemented their agricultural income by hunting and fishing to earn up to another $150 per year. As majority shareholders in the Credit Harbour Company formed in 1834, the Mississaugas developed the natural harbour at the mouth of the Credit River into a centre for warehousing and shipping farmers’ crops and timber from the mills upstream. The Mississaugas were also responsible for laying out the Port Credit town plot on the west side of the river in the mid-1830s, and owned and operated two lake boats to transport their crops and goods to Canadian ports. The Credit Mississauga, however, continued to be experience poor health. Better access to medical care, with the retention of a local doctor and the construction of a hospital, had lessened the toll from smallpox. But other infectious diseases, like measles, whooping cough, and tuberculosis still affected the villagers at higher rates than their Euro-American neighbours. And, by the 1840s, it became clear that the village site itself, a near part of the river that pooled with stagnant water at certain times of the year, was contributing to high mortality rates from malaria and fevers. At its worst, this resulted in 17 children dying at the Credit village between June 1840 and June 1841. In 1828, one visitor noted that the nearest Euro-American neighbours were two or three miles away from the village. But as the Credit Village had grown and prospered, so too had Toronto Township, booming from a population of 800 in 1821 to more than 4,000 by 1835. Europeans who lived with the Mississaugas at the Credit village had a low opinion of the whites that lived nearby. English-born Eliza Jones felt herself constantly under the gaze of the nearby white settlers, whom she regarded as ill-mannered. Ryerson’s diary records numerous instances of whites tricking Credit villagers into drinking alcohol—resulting in at least one suicide—during his time there as missionary. Benjamin Slight, another missionary who lived there for a few years in the 1830s, recalled “wicked, unprincipled white men from the neighbourhood” who took advantage of the Mississaugas’ piety by poaching the already-diminishing number of river salmon while the Mississaugas attended church on Sundays. 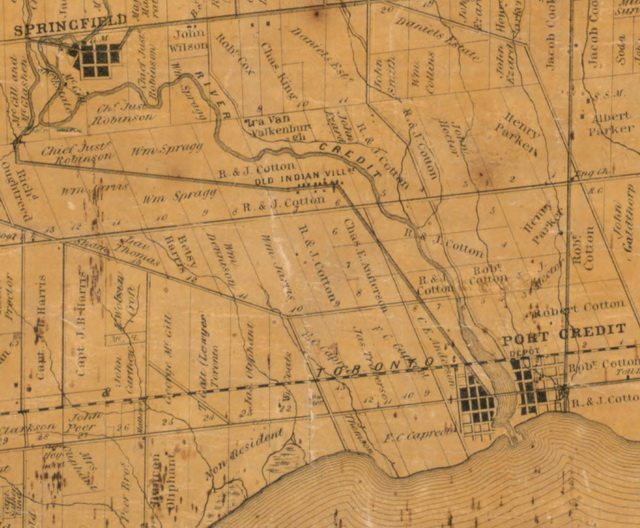 Detail from Tremaine’s Map of the County of Peel, Canada West, 1859, showing the old Credit Village between the Credit River and Mississauga Road. From the University of Toronto Map & Data Library. Moreover, the increasing numbers of settlers on all sides put tremendous pressure on the Credit Mississaugas. The law seemed to offer no protection. Squatters built houses and even mills without first securing land grants, and others culled timber from Mississauga land. When, in 1839, John Jones impeded one squatter from cutting timber from a reserve lot, it was Jones, not the squatter, who was charged and briefly jailed. When the Upper Canada government did take action, with the passage of the Act for the Protection of the Lands of the Crown in this Province (1839), the effect was to legally enshrine the idea, the historian Smith writes, that “North American Indians [were] legal minors—or wards of the Crown—incapable of taking care of themselves, or of their own property.” The idea contradicted everything the Credit Mississaugas were achieving in their self-sufficient community, but in time the policy effectively stymied the Mississaugas’ efforts to secure legal title to their village and fields. 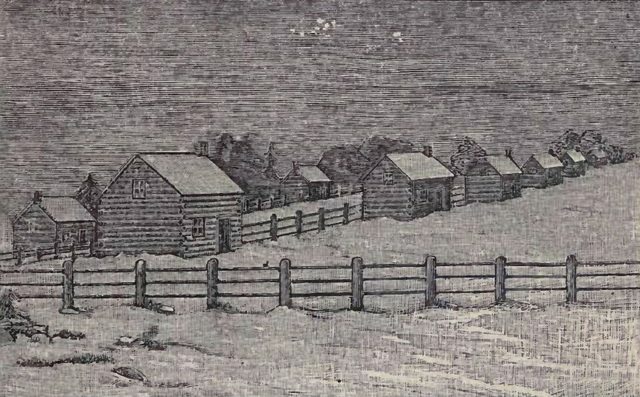 When Bond Head visited the Credit Mississaugas in October 1836, Peter Jones recalled, the Lieutenant Governor inspected many of the houses and the school before declaring “that the Credit village was the cleanest, neatest, and the most civilized of all the Indian settlements he had visited.” Jones was left believing, Murton Stoehr suggests, that his ongoing efforts to counter common perceptions of First Nations as “noble but doomed” by presenting his people “as industrious, intelligent, and culturally adaptable” had been successful with the Lieutenant Governor. But Bond Head didn’t believe the First Nations could adapt to agricultural life and considered their attempts to do so failures. Taking his lead from removal policies in the U.S., the Lieutenant Governor wanted to relocate all the First Nations in the colony to remote Manitoulin Island, a destination the Credit Mississauga rejected as wholly unsuited to cultivating crops and raising livestock. Amid strong pressure from Methodists in Britain and other organizations, the Colonial Secretary declined to pursue Bond Head’s course of action. Nevertheless, in the late 1830s, the colonial government reneged on assistance to farming communities following the Credit village model. The prosperous Anishinabe village at Coldwater, near Lake Simcoe, was disbanded in 1838, with the buildings remaining vacant and the fields fallow for 14 years. Our people have begun to improve their farms; they wish to sell the produce at market and buy goods from the white people, but they are afraid to clear much ground, because they are told by evil-minded persons that their farms can be taken away from them at any time. These people say the land is not our own, but belongs to your Majesty. Did your Majesty buy it from us, or from our forefathers? We know that our people in times past have sold lands to our late father the king, but we never sold our lands at the Credit. For Jones politics had always been entwined with their religious appeals. In sermons to their own people and on speaking tours overseas, He’d strongly decried the colonial government’s failure to live up to treaty obligations. He’d petitioned colonial authorities on behalf of their communities. And he’d built alliances with religious organizations in Canada and Great Britain who could exert pressure of their own on the local or British governments. In England, Jones made his case for securing legal tenure to Lord Glenelg, the colonial secretary, in September 1838. 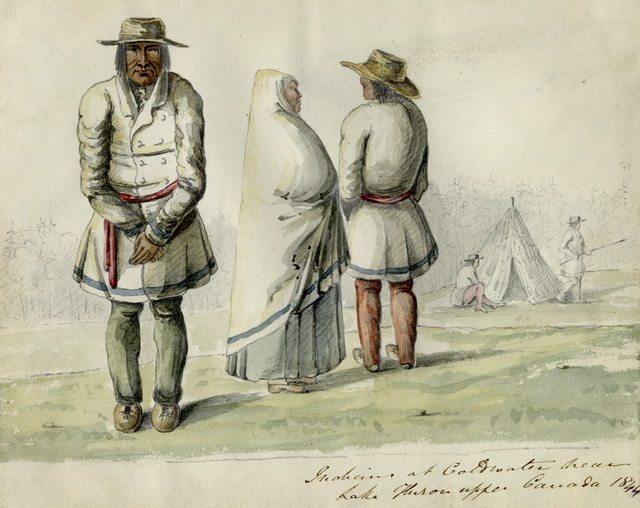 “So long as [the Mississaugas] hold no written document from the British Government to show that the land is theirs they fear that the white man may at some future day take their land away from them, and the apprehension is constantly cherished by observing the policy pursued by the United States Government,” Jones explained. Glenelg, who was also a prominent member of the Church Missionary Society, expressed support for the Mississauga proposition and accompanied Jones to meet Queen Victoria at Windsor Castle. She too endorsed the idea of granting the Mississaugas title, and Jones returned to Canada with optimism. But Glenelg took no action before resigning as colonial secretary less than six months later. Jones continued to petition the local Lieutenant-Governor and the Governor to officially recognize their legal tenure. Though some authorities believed they merely wanted title so they could sell the valuable lands at a profit, the Mississaugas insisted time and again that they simply wanted to secure the land for posterity and as a means of protecting themselves from the encroachment of whites. They did not succeed in their efforts. As early as 1840, the Credit Mississaugas began investigating options for relocation. The Anishinabe of the Saugeen (Bruce) Peninsula invited them to join them near Lake Huron in the summer of 1845, but the Mississaugas who visited assessed the rocky land as unsuited to agriculture. Then, the Six Nations offered the Mississaugas 4,800 acres on their Grand River reserve. The Iroquois of Six Nations recalled how generations earlier, after they’d fought on the side of the British in the American Revolution, the Iroquois had been ceded lands along the Grand River by the Mississaugas. Remembering this act of friendship, they now returned the generosity by inviting the Credit Mississaugas to share their reserve. Some Credit Mississaugas opted to migrate north to the Saugeen Peninsula, and a handful stayed behind to continue living in Port Credit. But the great majority, numbering over 200, moved to the New Credit Reserve, near Hagersville, in the spring of 1847. Reluctantly leaving behind the fruits of two decades of community labour—cultivated fields, comfortable homes, mills, barns, a school, and the chapel—the Mississaugas started over again at New Credit, beginning with clearing the forest to establish their farmer fields. The Indian Department sold Credit village site and surrounding fields at auction in Port Credit on April 27, 1847. The Chi-twaa Tigaanes Sacred Garden, north side of Mississauga Road, west of the entrance to the Mississaugua Golf and Country Club. Photo by Kevin Plummer / Torontoist. Though the buildings at the Credit village site continued to be used for a time by settlers who moved into the area, the structures fell into disrepair. After the Misssissaugua Golf and Country Club was laid out on the land in 1906, a number of the buildings, including a barn, a meeting lodge, and the chief’s house, stood until at least the 1920s, but were demolished by the time Mississauga Road—which once ran through the centre of the village—was realigned to pass the golf course several hundred metres further south between 1954 and 1966. 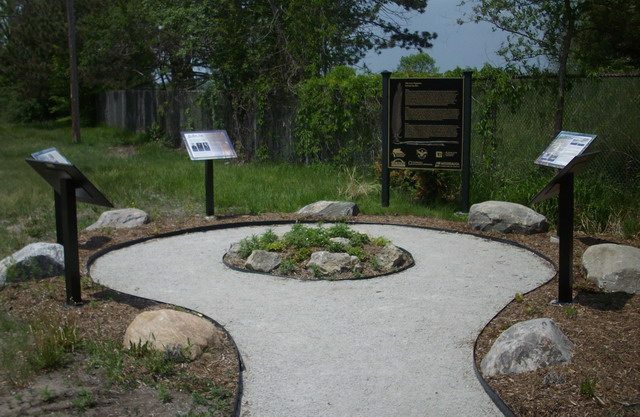 A commemorative sacred garden (Chi-twaa Tigaanes), consisting of traditional plants the Mississaugas would have known and a series of plaques commemorating the history of the village, has been installed on the north side of Mississauga Road, just west of the entrance of the Misissaugua Golf and Country Club. Thanks to Lea Hill, archivist at the Mississaugua Golf and Country Club for sharing access to some historical maps outlining the location of the village, and to Matthew Wilkinson of Heritage Mississauga for assistance tracking down sources. Sources consulted: Marian M. Gibson, In the Footsteps of the Mississaugas (Mississauga Heritage Foundation, 2006); Eliza Jones, Memoir of Elizabeth Jones (1838); Peter Jones, History of the Ojebway Indians (1861); Peter Jones, Life and journals of Kah-ke-wa-quo-nā-by (1860); Catherine Murton Stoehr, “Salvation from Empire: the Roots of Anishinabe Christianity in Upper Canada, 1650-1840,” Ph.D. Dissertation (Queen’s University, 2008); George F. Playter, The History of Methodism in Canada (1862); Roger Reindeau, Mississauga: An Illustrated History (Windsor Publications, 1985); John Ross Robertson, Landmarks of Toronto Fifth Series (1908); Egerton Ryerson, The Story of My Life (1884); Benjamin Slight, Indian Researches or… (1844); Donald B. Smith, Mississauga Portraits: Ojibwe Voices form Nineteenth-Century Canada (University of Toronto Press, 2013); Donald B. Smith, Sacred Feathers: The Reverend Peter Jones (Kahkewaquonaby) and the Mississauga Indians, Second Edition (University of Toronto Press, 2013 ); and Chad M. Waucaush, “Becoming Christian, Remaining Ojibwe,” Ph.D. Dissertation (Michigan State University, 2009).